The grocer that took over numerous Albertsons and Vons stores earlier this year announced Friday that it would close or sell 27 outlets, including six in San Diego County. The local locations are San Marcos on Rancho Santa Fe Road; El Cajon on Fletcher Parkway; La Mesa on Lake Murray Boulevard; San Ysidro on West San Ysidro Boulevard; and Chula Vista stores on Third Avenue and Telegraph Canyon Road. Bellingham, Wash.-based Haggen said it hadn’t been determined how many jobs would be affected, though it announced separately last month that around 700 employees would be laid off in Southern California. The company plans to keep the stores operating around two more months. The chain was criticized by customers for its high prices when the stores began opening in the San Diego region earlier this year. By acquiring stores that were divested by Albertsons and Safeway, the owner of Vons, Haggen expanded from 18 stores with 16 pharmacies and 2,000 employees in the Pacific Northwest to 164 stores and 106 pharmacies employing more than 10,000 people in Washington, Oregon, California, Nevada and Arizona. Many industry analysts at the time questioned whether the grocer had bit off more than it could chew. 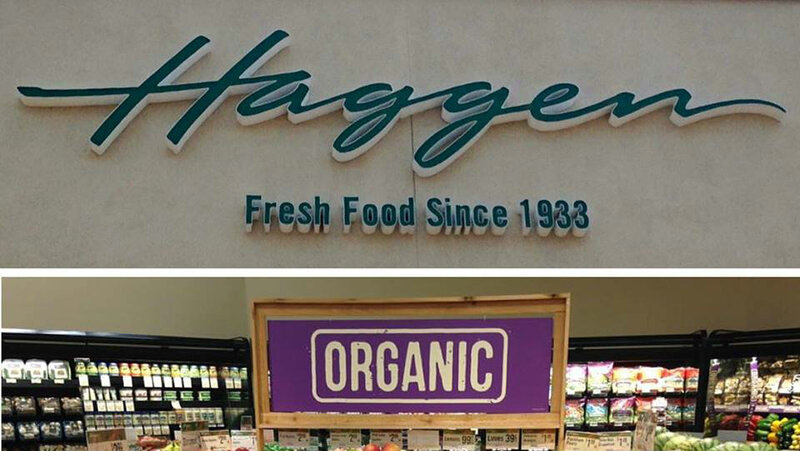 The Haggen announcement said its original stores are still performing well.